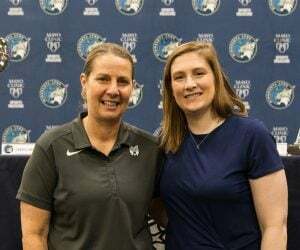 After a loss in Iowa in their preseason game against the Washington Mystics, Lynx coach Cheryl Reeve came into Tuesday’s practice looking for improvement. At the end of the day, she hadn’t seen enough. In particular, Reeve was disappointed by her team’s propensity to foul and their bad positioning on defense. They also gave up far too many turnovers and threw too many passes that were deflected. Unfortunately, these trends continued in practice. 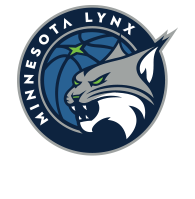 While some players may still be learning the ropes of the Lynx’s sets, that’s no excuse. “It has nothing to do with any sort of system, and absolutely everything to do with taking the extra second to value the possession,” said Reeve. While Reeve goes a little easier on younger players in the first week of practice, that honeymoon period is over, and it’s become clear how far these players have to go to make an impact on the team. 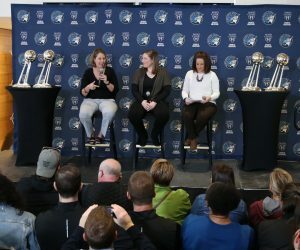 On a more positive note, Reeve did notice a distinct improvement in the Lynx’s interior defense. 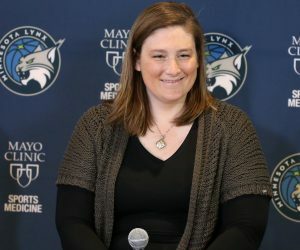 The Mystics got into the paint seemingly at will on Sunday, but at Tuesday’s practice the Lynx shut that down. “That’s our identity. We don’t let people in the paint,” Reeve said. On an individual level, Reeve is also impressed by the continual improvement of Seimone Augustus on defense. Augustus is not a highlight-reel defender, but her development on that side of the ball has turned her into one of the smartest and most reliable defensive players in the league. 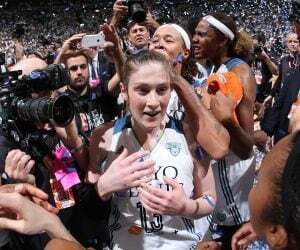 The Lynx are back in practice Wednesday where Reeve has lit a fire under her team and made her expectations known. She expects them to be better. In the quest for championships, there’s not much room for error.